With the release of Nebula The Haiku Project has now released 3 albums on the Real Music label. 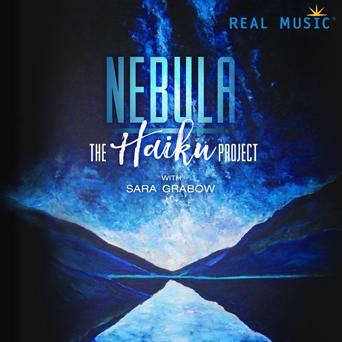 Nebula is an intriguing album and especially so with the delicate vocals that are provided by Sara Grabow who makes this album quite memorable. Sara Grabow as a singer has released 4 albums of her own that can easily be found on Spotify two of which are performed in English and 2 in Danish. Sara also hails from Denmark as does Henrik Hytteballe aka The Haiku Project. Her vocals provide an ethereal aura to the songs that she is featured on which allows the compositions to move in new and interesting directions.